To most people, feeding pet cats is a regular chore that they cherish. But what if you have traveled or your cat regularly wakes up at midnight to eat? 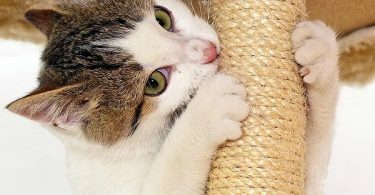 You can only imagine how easy it can be if you have fewer worries about feeding your cat. If you want to eliminate these worries, an automatic cat feeder might be your ideal pick in order to turn around your cat feeding routine. In this post, we review five of the best automatic cat feeders that will help you to figure out the best brand model that can be ideal for your cats. We also offer you plenty of helpful information about automatic cat feeders that you and your lovable cats will find ideal for feeding. 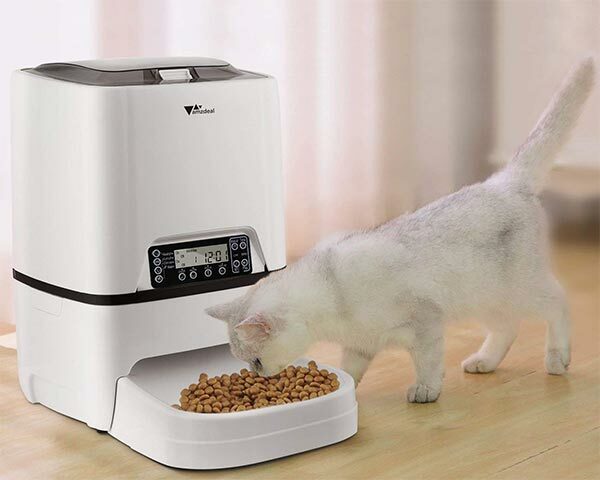 If you want to keep your cats healthy by feeding them the right amounts of food, then you need this automatic cat feeder from WESTLINK. This is a programmable feeder that can dispense up to four meals a day with each portion weighing about 10 to 12 grams. As such, this feeder makes feeding of your cats stress-free. It comes with a food capacity of 6 liters, which is good enough to accommodate up to four meals each day. For easy management of the day’s meals, simply choose your ideal portion size depending on the number of cats you have. It features a voice recorder and speakers that allows you to record a short 10 seconds audio to call your cats for meals. 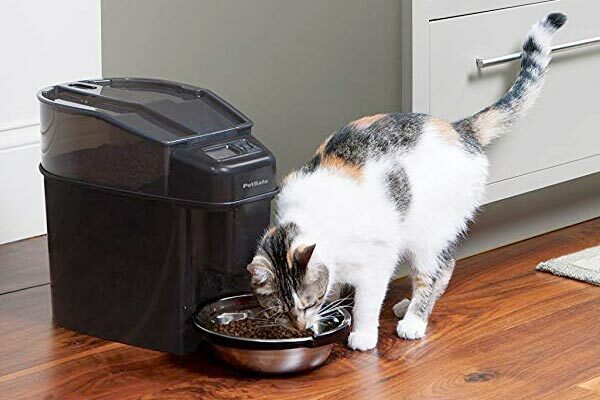 To prevent your food from spilling or locking the outlets, this feeder comes fitted with built-in infrared detections that thwart food locking while giving your cats time to enjoy the meal. The holes can fit any food size but not exceeding 0.39 inches. Anything larger than this might stick in the hole. With an ultra-power consumption, you can be sure to keep your power bills as low as possible. If you are looking for a cat feeder that is not only automatic but also easy to clean, this is the right feeder to pick. It comes with a disassemble design that allows it to detach into four parts. The lid, food bowl, and the food tank are all washable, which means it is a lot easier to clean. Moreover, the LCD can be wiped clean with a damp cloth. 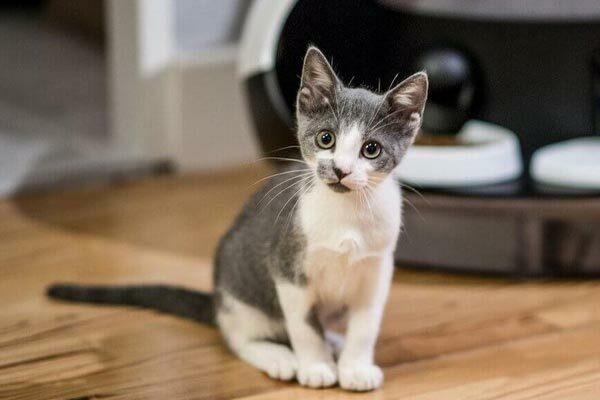 It comes with a sound recorder capability and speakers so that you can record your voice for up to twelve seconds, a feature that makes it possible for you to call your cats for meals. 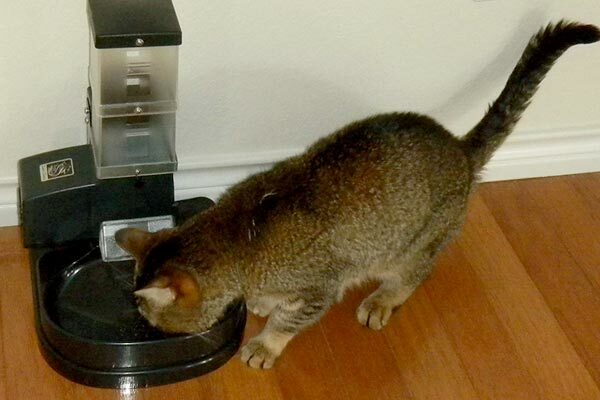 This automatic cat feeder uses 3 pieces of D batteries that you can buy separately. You can also use a USB cable to have them charged. Most importantly, its design comes with an infrared detector that detects the food administered. This means that whenever the bowl is full, the cat feeder stops to dispense more food. It also prevents the feeder from overeating. If you are looking for an automatic feeder for your many cats, then you should consider this model from PetSafe. This is because it comes with a higher food capacity. In fact, it can hold up to 24 cups of dry cat food while the bowl can accommodate up to 5 cups. It can also be customized to deliver 12 meals a day right on your cat’s schedule. The Feed Mode also allows you to feed your cat outside the normal feeding schedule while the Pause Feed Mode temporarily stops feeding without discarding the previously programmed feeding schedule. It is uniquely designed to dispense almost all shapes and sizes of a dry meal as well as semi-moist food. The design is also great at preventing food jams. This automatic feeder is sturdy and solidly constructed to be pet-proof. This means that it prevents prying paws from accessing food in addition to maintaining the food’s safety and freshness for longer. All the detachable parts are dishwasher-safe, which makes the feeder easy to clean. It is powered by 4 D-cell alkaline batteries that are sold separately. This means that you can buy another pair whenever the other becomes obsolete. You don’t have to buy a larger automatic feeder for your cat when you have this feeder. This is because the feeder is designed to hold five cups of food, which is enough for your cat for the day. Moreover, when the kittens come along, you can expand it to accommodate more food for your cat and the kittens. It features a stand and a bowl that are made sturdy with ABS plastic. The feeding bowl locks safely between the dispenser and the base. Since these elements are separable, they are easy to clean since you can detach them for cleaning purposes. In order to feed more cats from this automatic feeder, you can custom build it easily using PVP piping. These pipes can be purchased separately and you can fit up to five pipes for your five cats to feed effectively. The dispensing of the meal is entirely programmed with the help of an external timer in order to turn it on as per the preset schedule. However, the feeder power supply must always stay plugged into the timer for it to work. If you are looking for a simple and easy to set up an automatic cat feeder, then don’t look further than this model from JEMPET. It comes with five individual feeding compartments in which you can place dry or semi-wet food of up to 240ml and 1.2L respectively. With a feeding timer, you can easily customize your feeding schedule to a regular feeding in advance. Once the timer is set, this auto feeder will dispense meals at the right time. It can dispense up to five meals a day. It comes with power supply options for flexibility. You can either plug directly into the wall socket or opt to use the DC 5V/1A that comes with it. Moreover, you can simply install 4 C size batteries when you wish to travel with your feeder. With the voice recording capability, you can record your voice to call your cats for a meal each time the pre-set time runs down. This is important because your cat will start to associate the two with eating time. With a flexible standby mode installed, the feeder will automatically “standby” whenever there is no operation activity for 25 seconds. This is great at saving energy bill or batteries. 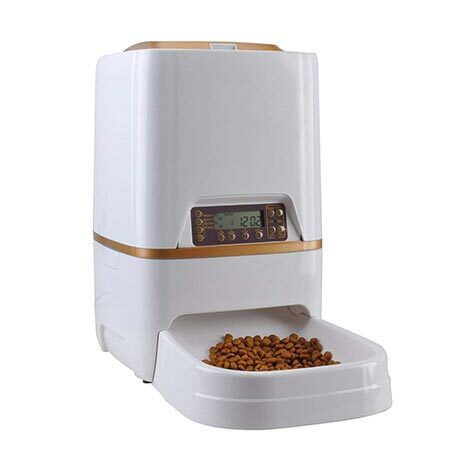 Before buying your automatic cat feeder, you will need to consider the important factors that define a great cat feeder in order to get the best product in the market. Here are a few things to consider. If you own many cats, you will definitely consider buying a number of automatic feeders. According to Caster, this is important since it prevents over-aggression and frequent fights during meal time. How big are your cats? It is crucial to give your cat the right amount of food depending on its size and age. This means that proper portion control is important, especially if your cat is already overweight. 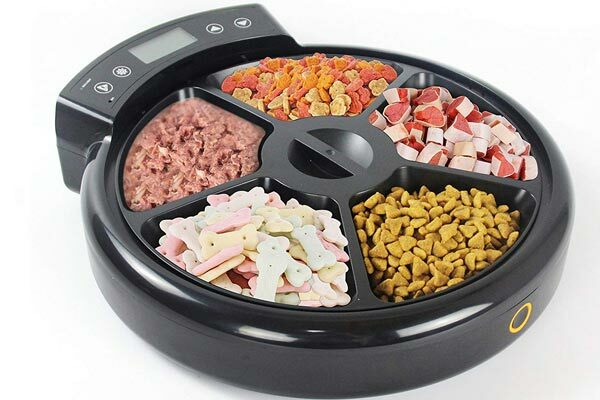 Before you narrow down to an automatic cat feeder, it is also important to think about the amount of food that will be required. 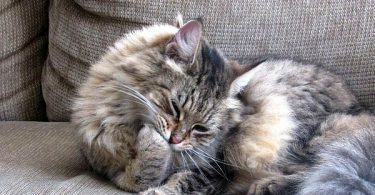 According to the nest, if your cat is a fast eater, then you will be required to get a feeder with a dispenser that is a bit slow so that you control your cat’s eating speed. You might be wondering whether having an automatic cat feeder for your cat is worth the trouble. Maybe you feel that ta feeder is somewhat an unnecessary indulgence. However, there are numerous reasons why an automatic cat feeder is worth buying. Check out some of these reasons that will prove its worth. Your pet cat needs feeding at specific intervals or time in the course of the day. 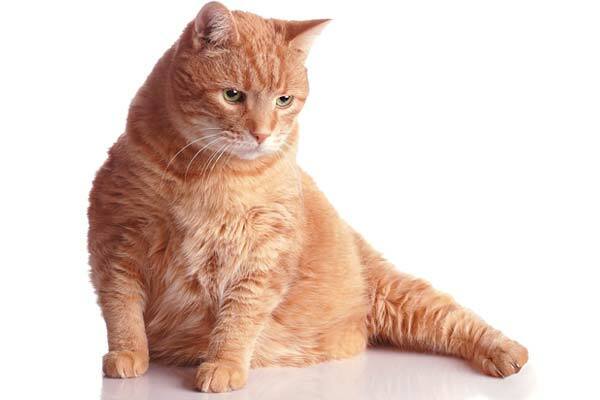 According to PETMD, if a cat is not fed on a regulated diet, it might overeat frequently and be at a risk of obesity. It gives your cat the freedom to eat while you are far away from home for a day. It keeps your cat on a regular feeding schedule even when you are working for long or odd hours. In order to have a better understanding of how to preset and assemble your automatic cat feeder, check out this video. The best automatic cat feeder to buy will depend on the number of your cats, their dietary needs, and your budget. You can also consider the following factors so that you don’t walk home with a device that does not deliver as you had anticipated. Many brand models come with programmable timers that allow you to set the times of meals. This will restrict your cat to eating strictly in the set schedule. The portions of food you intend to be feeding your cats will also determine the kind of feeder you will settle for. Larger food portions will definitely require frequent refilling. This means that if you have multiple cats, then a smaller option might be ideal because it will store more food for all the cats as compared to the larger portion sized feeder. Like the portion sizes, automatic feeders also vary according to the number of times you can feed your cat. Some feeders come integrated with a smartphone to enable convenient control of the feeding program. Before you buy a feeder, therefore, think about the number of time you will need to feed your cat. You should also consider the size of the feeder you want to buy. This is often informed by the number of cats you have and the size of the food you intend to feed your cats. The material used to manufacture the feeder should also be of a high quality, durable and tamper-proof. Whatever kind of automatic cat feeder you may want to buy, you will definitely find it in the market. Once you find the right feeder for your cats, it will either have an analog timer or have one that you can control right from your smartphone. You can go for either as long as it serves your cat(s) and is convenient for you.